I discovered Ron Block’s music when I discovered Alison Krauss and Union Station (AKUS), a band that has made bluegrass stylish. Ever since the hit 2000 film O Brother Where Art Thou?, with its very bluegrass inspired soundtrack, more and more people are listening to bluegrass and its hybrids. Ron Block is a singer, songwriter, banjo player, producer, and all around neat guy. He’s written a lot of songs for AKUS, but he’s also nurtured talent, his own and up and coming star, Sierra Hull, who performs on Block’s brand new album, Walking Song. 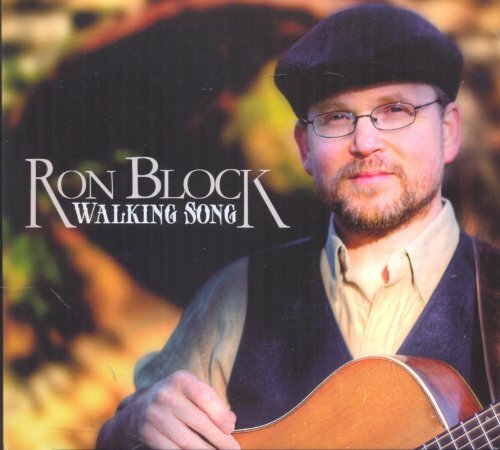 Knowing about Ron Block’s music, I was especially excited to hear about Block’s new album Walking Song. It had been too long since his last effort. Back in 2007, he released DoorWay, which I bought and loved. Six years prior to that, he released Faraway Land, which was also well-received. Though he stays busy, Ron Block seems to be stuck in a six year cycle when it comes to putting out his own music. Even though I was in the midst of a big move when Block’s Walking Song hit the shelves on July 31st, I made sure to order it as soon as I could get to a computer with Internet access. It got to me this past Saturday and, I have to say, Ron Block has done it again! Joined by the likes of AKUS bandmates Alison Krauss, Dan Tyminski, Jerry Douglas, and Barry Bales, Block also has his protege Sierra Hull playing mandolin on several tracks. He’s also enlisted Suzanne and Evelyn Cox of the Cox Family to sing harmony on a few songs. Well-respected artists like Stuart Duncan, Sam Bush, and Rob Ickes also put in performances, populating this album with some very high quality musicians. Ron Block co-wrote most of the songs on this album; there are a couple of traditional numbers as well that Block has skillfully arranged. 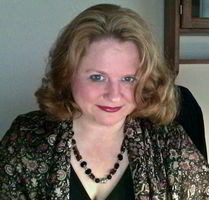 The lyrics on this album were contributed by Rebecca Reynolds. I am not very familiar with her work yet, but I have a feeling I’ll be learning more about her now. She really has a way with words. I couldn’t wait to pop my new CD in my computer and give it a spin. Here are my thoughts on Ron Block’s Walking Song so far. The first song is the very pleasant title track, “Walking Song”. Block’s tenor is comforting as he sings alliterative lyrics by Rebecca Reynolds. Kate Rusby offers warm, feminine harmony vocals on this charming love song. “Walking Song” features clever lyrics that creatively turn phrases into a love story. Matched by Block’s expressive music, the words come to life and turn the title song into a fine introduction. The tempo picks up for “Devil In The Strawsack”, which is a traditional instrumental romp arranged by Block and played by Ron Block, Barry Bales, Sierra Hull, and Stuart Duncan. I love these instrumentals on bluegrass albums because they’re egalitarian. Everyone has a chance to shine and they’re just a lot of fun to listen to without the complication of lyrics. “Jordan, Carry Me” is another collaboration between Ron Block and Rebecca Reynolds. Stuart Duncan plays a haunting fiddle intro which breaks into a somber melody featuring Dan Tyminski singing harmony. It’s no secret that Ron Block’s music is often spiritual. While I am not particularly religious, I appreciate well-written songs, regardless of the subject matter. Tyminski and Block sound great together and Reynold’s lyrics are very intelligent and impressive. Gentle acoustic guitar kicks off the pretty song, “Ivy”. This song has a very traditional sound, though it was written by Rebecca Reynolds and Ron Block. Block sings and skillfully accompanies himself on acoustic guitar. I really like this song, with its simple melody beautifully played on Block’s guitar. It reminds me of an Irish tune, complete with sweet lyrics about coming home. “Summer’s Lullaby” is a lovely, gentle song in waltzing rhythm. Kate Rusby sings a sweet harmony vocal to Ron Block’s lead. If you’re looking for a bluegrass styled lullaby, this is a good one to drift off to sleep to. Banjo accented “Nickel Tree Line” has the sound of song that could have just as easily been recorded by AKUS. Indeed, Alison Krauss lends her sublime soprano to the harmony line and fellow AKUS players Barry Bales and Jerry Douglas join in. Stuart Duncan’s fiddle blisters on this very strong track. I like it, but it makes me miss AKUS. It’s nice to have this song to tide me over until the next AKUS release. Ever since I heard Alison Krauss and The Cox Family sing on 2004’s I Know Who Holds Tomorrow, I have really admire The Cox Family. Suzanne Cox joins Ron Block on “Let There Be Beauty”, another song that sounds very Celtic complete with subtle whistles on the chorus. Next is a gorgeous arrangement of the spiritual, “What Wondrous Love Is This?”. Block plays banjo, National Duolian, and guitar, while Jeff Taylor contributes accompaniment on the pipe organ and accordion. The end result is a hauntingly beautiful treatment of a very classic song. “The Fields of Aidlewinn” is another dramatic song featuring Dan Tyminski singing harmony and Sierra Hull playing mandolin and octave mandolin. John Joe Kelly’s bodhran drum and Jeff Taylor’s subtle accordion give this track sort of an Irish world music feel. I follow Ron Block on Facebook and I know he spent time in Scotland and Ireland recently. I can really hear the influence on this album. “Chase Me to The Ocean” is another pretty song inspired by Block’s spiritual side. The melody is lovely, with its lullaby quality and vivid lyrics, again penned by Rebecca Reynolds, whose obvious songwriting talents are growing more and more impressive to me. Kate Rusby is back, singing a very soothing harmony. Block obviously wanted her peaceful sound on the songs that have that lullaby quality meant to relax listeners into restlessness. I am smiling as this song ends. Right about now, it’s time for another bluegrass romp. This time, it’s a traditional number called “Shortnin’ Bread”. This is a lot of fun to listen to and it sounds like Block and his band had a ball recording it. I dare you to try to resist tapping your toes! “Colors” is another languid track featuring acoustic guitar and accordion. Dan Tyminski plays mandolin and I am caught up again by the interesting lyrics. I get the sense this is a song about down and out people trying to survive an impersonal city through music and the company of misfits. “Sunshine Billy” is sort of an upbeat bluesy track with perky accordion accents that make me think of France. Suzanne Cox is back on harmony and Buddy Greene plays a sizzling harmonica solo. This is a fun song that sort of offers a contrast to the more serious numbers on Walking Song. I think this is my favorite song on this album. The last song is “Rest, My Soul”. Written by Ron Block and Rebecca Reynolds, this song sounds like a very old and traditional hymn. It’s pretty and graceful, with a waltzing rhythm and lush, warm, harmony vocals by Evelyn and Suzanne Cox. This track gives me goosebumps. It’s just gorgeous. I really like Walking Song. I think I was more impressed by 2007’s DoorWay, but that’s probably because it was the first of Block’s solo efforts that I paid a lot of attention to. DoorWay also features the stellar and wise track, “Someone”, which I just love. I think Walking Song is as strong an effort as DoorWay was. They are different in that Walking Song seems more traditional and Celtic, while DoorWay had some fantasy elements. I will have to listen to Faraway Land again to see which of Block’s three albums I like best. Let’s just say that I think if you enjoy Ron Block’s music, you will enjoy this latest effort. Walking Song is a well-crafted and very enjoyable album. Ron Block and Sierra Hull play “Walking Song”.